The advisory panel at Deccan 360 consists of individuals who provide, among other things, the vision and strategic direction that enable us to set industry benchmarks. 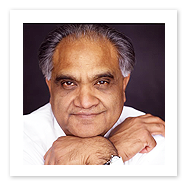 A highly acclaimed speaker and advisor with over 35 years of experience, Ram Charan has worked with global giants such as GE, KLM, Bank of America, DuPont, Novartis, EMC, Home Depot and Verizon. He has coached some of the world’s most successful CEOs, helping them develop, shape and implement strategic directions. He has also co-authored several books including Execution and What the CEO Wants You to Know. Capt. 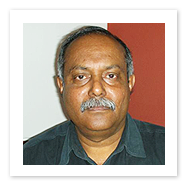 K. J. Samuel has played a key role in setting up successful business ventures along with Capt. Gopinath. Commissioned into the Indian Army in 1971, and a veteran of the Indo-Pak War, he joined the Aviation Wing in 1976, retiring in 1992 after receiving the Sena Medal for gallantry. In his service, Capt. Samuel was a Flying Instructor and continues to be a Civil Aviation Examiner on helicopters. In 1995, he joined army friend Capt. Gopinath to start a private sector commercial helicopter service. He continues to be the Director of Deccan Aviation (now called Deccan Charters). In 2003, he co-founded Air Deccan - the first budget, no-frills Indian airline. As part of Deccan 360, his expertise goes a long way in setting us head and shoulders above the rest.